Held in the very idea of white people, in the illusion of their strength, in the fantasy of their allyship, in the poverty of their rescue, in the silliness of their melancholy, in the power of their contacts, in the besotted rejection of their impossible purity, in the repeated critique of their pitiful cartoon, is that thing about waiting for vacancy to shake your hand while the drone’s drone gives air a boundary. Don’t be a ghost, be a spirit, Baraka said, in a movie about white people, the socially dead. Can the socially dead organize their own? What are the socially dead, anyway? This is an ontological inquiry only insofar as it’s concerned with what it is, or what it would be, to have an ontological status. What it would be to have an ontological status, and know it, is what it would be to be a white person. In that condition, that particulate dream, which is the eternally prefatory’s tired aftermath, one is what it is to persist in having begun interminably to wait on being one. Such a one, that one who is not one but wants to be, is a ghost. How do you stop being a ghost? How do you stop being political in Lincoln Park? One must imaginatively practice oneself away into a whole other mode of service, Uptown’s collective head, speak ‘em up and say ‘em now. for anyone who lives in uptown. We’re here for you, we’re here to be used by you, says Bobby Lee, deep in the history of the slave revolt. What the mountains were trying to relinquish was not a privilege but a death sentence, continually executed in their own pronouncement of it and in their waiting, when the poor interdict an unowned theater of their own. You can’t love nobody but the poor, he says. For it is given to the poor not only to be the object of that sentence but also to object to it, in preferment of their own miraculous showing. The generality of that precarity is our privilege, if we let it claim us. What whiteness seeks to separate, blackness blurs by cutting, in touch. The movie about the movement keeps the secret it reveals. The ruptural caress is on the cutting room floor or, deeper still, is underground. His hand waves in exasperation at people laying back in cuts. His hand presses someone’s shoulder. Uptown can’t improvise without contact, we not movin’, man, let’s move, we can’t move. In the cut, laying back on cuts is given to dance in a laying on of hands, we can’t move without you, and we’re on the other side, in sufferance of an already given rupture, in lightly hugging someone’s neck just like a shawl. This practice of serrated handing, animation given in the disruption of the dead body’s protection, struggle shared in tousle and massage, message come in touch, having claimed them, having come to be claimed by them, having come to show them, having come to see them to believe, is how the mountains became his own to organize, how they became what belongs to what’s over the edge of belonging. They had to bear some whole other way of bearing and being borne so they could leave their own (ghostliness) behind, becoming something other than what they were not, something other than what they were waiting on. The panthers are here, are here, the panthers are here and, for a minute, the mountains move. For a minute. This interlude in curacy, between a juke joint in Jasper and the Fifth Ward’s gardens, is special now because of the richly alternative way some differences are felt. When interlude becomes impasse then a way out is held in knowing how to cut by touching. And do you know a lot of people don’t know how to cut yards? They don’t know how to cut yards. But when he fix it it’s so pretty. I love for him to do my yard. But what I don’t like about him, he don’t wanna take no money. He cuts yards by touching, by a kind of tenderness sown on every weed, as if he serves at the weeds’ pleasure, as if passage is booked in love with the idea of taking her out to dinner. You can’t build no block club by not doing something for folks. How else can you know who are your own, the owned, the held, the held away, in shoes so they can walk to heaven, which is on the street where they live? Turning left and right toward itselflessness, gently refusing laying back on cuts, knowing how to cut yards, you go and start chattin’. There’s an endless, insistently previous preview of our work in progress that is held, handed, in touch, in feel(ing) and there’s no need to wonder about the ghostly individual and his view. Seeing himself everywhere and calling it politics, he would—in the power of his gaze—be complete and indivisible, out of touch in self-possessed, self-picturing monocularity. Meanwhile, Bobby Lee is this other thing in tactile dispersion, practicing that haptic, active, organic Phantasie where one sees, because one is, nothing at all. It’s nothing. It ain’t no thing. Selflessness ain’t about nobility or even generosity. The substance of its ethics is of no account, no count off, no one two, just a cut and then people be grooving. It’s not about friendship with others, either. Society is not companionship or friendly association with others; it’s companionship or friendly association without others, in the absence of the other, in the exhaustion of relational individuality, in consent not to be a single being. Bobby Lee is another name we give to the xenogenerosity of entanglement: the jam, that stone gas, a block club in a block experiment, an underpolitical block party, a maternal ecology of undercommon stock, in poverty, in service, genius in black and blur. This writing is indebted, and seeks to respond, to two films, each of which contain a scene, a view, of an extraordinary force that, in these particular manifestations, is known as Bobby Lee, an inveterate sociality in defiance of portraiture. 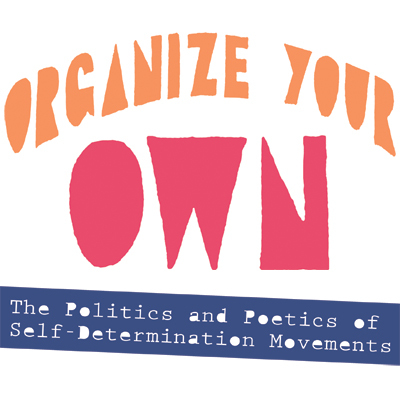 The films are American Revolution 2 (1969), co-directed by Mike Gray and Howard Alk for The Film Group and Mike Gray’s The Organizer: A Preview of a Work in Progress (2007). They are both to be found on Facets Video DV 86930, 2007. Fred Moten is author of In the Break: The Aesthetics of the Black Radical Tradition (University of Minnesota Press), Hughson’s Tavern (Leon Works), B. Jenkins (Duke University Press), The Feel Trio (Letter Machine Editions) and coauthor, with Stefano Harney, of The Undercommons: Fugitive Planning and Black Study (Minor Compositions/Autonomedia). His current projects include two critical texts, consent not to be a single being (forthcoming from Duke University Press) and Animechanical Flesh, which extend his study of black art and social life, and a new collection of poems, The Little Edges. Moten served as a member of the Board of Managing Editors of American Quarterly and has been a member of the Editorial Collectives of Social Text and Callaloo, and of the Editorial Board of South Atlantic Quarterly. He is also cofounder and copublisher (with Joseph Donahue) of a small literary press called Three Count Pour.